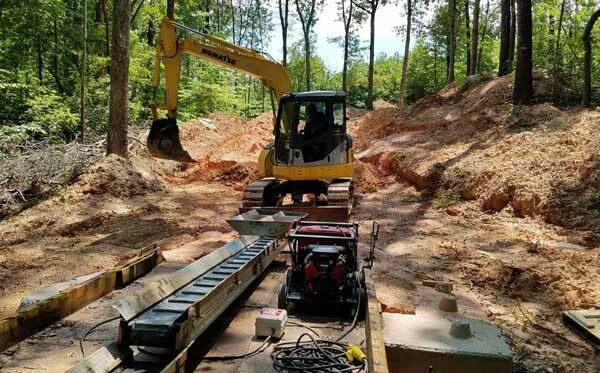 Sand and Dirt Conveyor Systems for moving sand, dirt, gravel and other materials. Rescue & Emergency Conveyor used by emergency response crews to transport people in emergency situations. LOBO Platform System - a versatile work platform product that combines the flexibility and strength of traditional scaffolding with the simplicity and mobility of tower systems. Messersi Dumper - Access Construction Equipment is your exclusive distributor of Messersi Tracked Dumpers in the US and Canada. Our Powerful, Portable Conveyor Systems Miniconveyor /MiniveyorUSA portable conveyor belt systems are ideal for all tight access jobs. Great for moving solid materials including packages of any size. Miniconveyor and MiniveyorUSA are available for rent at approximately 150 rental locations across the US and Canada. The LOBO platform system combines the flexibility and strength of traditional scaffolding with the simplicity and mobility of tower systems. Portable gas powered 3 phase and single phase generators have the same industrial-quality as other generators but without the bulkiness. 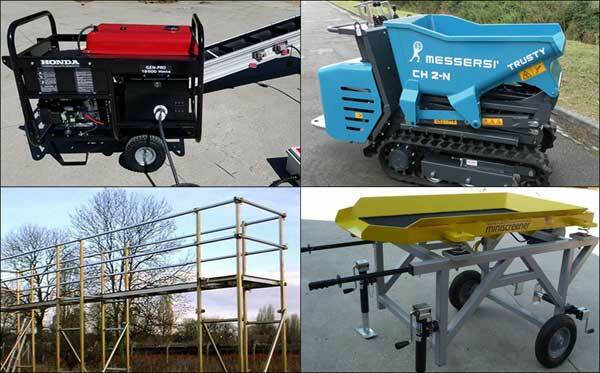 The Miniscreener is perfect for landscaping, aggregate separation and even small scale mining. A complete line of Messersi Track Dumpers, the perfect machine for transporting heavy loads in tight spaces over any terrain. These portable confined space ventilator fans by Americ lead the industry in airflow.